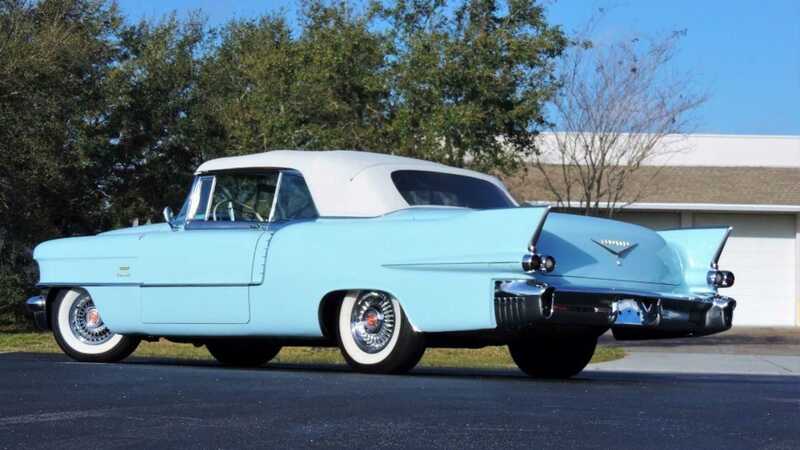 This Sonic Blue 1956 Cadillac Eldorado Biarritz with a two-tone white on blue interior and white convertible top is the ultimate boulevard cruiser during summer and a well-designed beauty penned by Harley Earl. 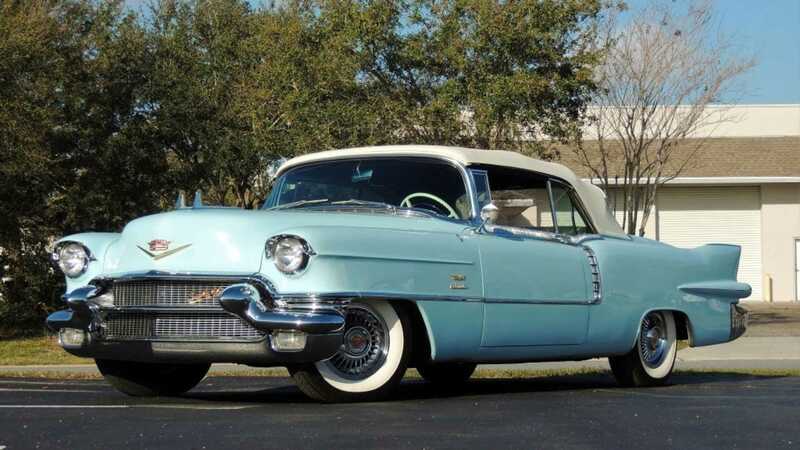 1956 was the final year of production for the second-generation Cadillac Eldorado which was introduced in 1954. 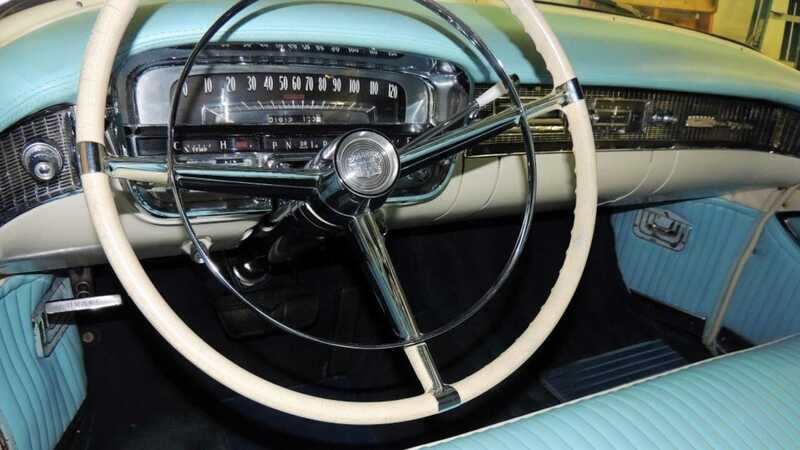 The Eldorado was designed by Harley Earl and was assembled in Detroit, Michigan. 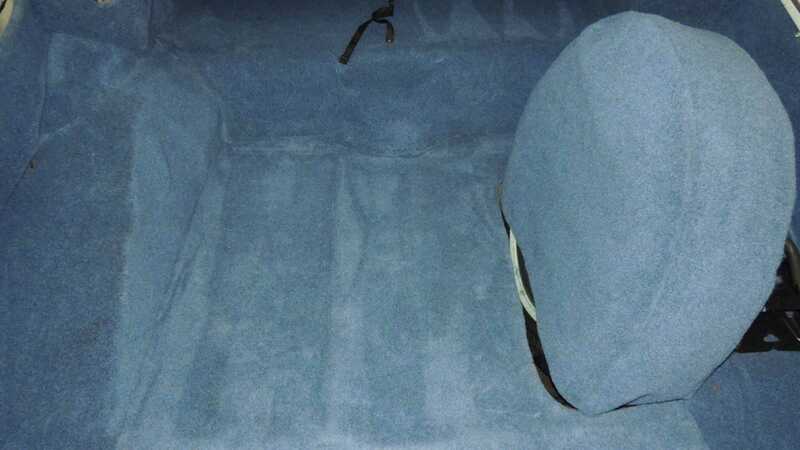 During its three-year production run, the Caddy was available as a two-door hardtop coupe and a convertible. 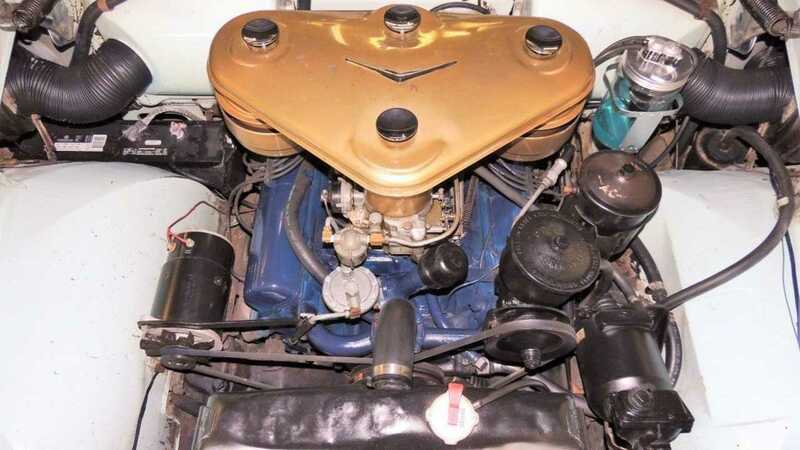 The Eldorado was powered by either a 331 cubic-inch, 5.4-liter or a 365 cubic-inch, 6.0-liter OHV V8. Regardless of the engine choice, all Eldorado models came equipped with a four-speed Hydra-Matic automatic transmission. Cadillac sold a total of 6050 copies of the Eldorado in 1956. This particular 1956 Cadillac Eldorado Biarritz currently for auction at HCS19 in Kokomo, Indiana was owned by one family since new. 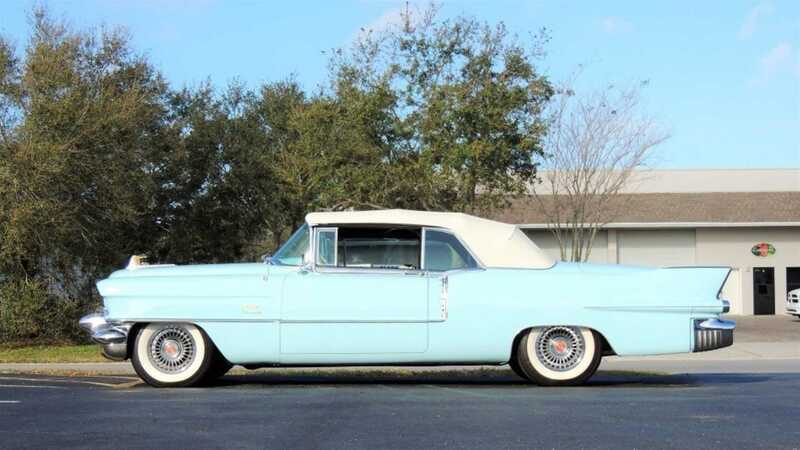 This Caddy was purchased new by that family in 1956 at San Francisco Cadillac. 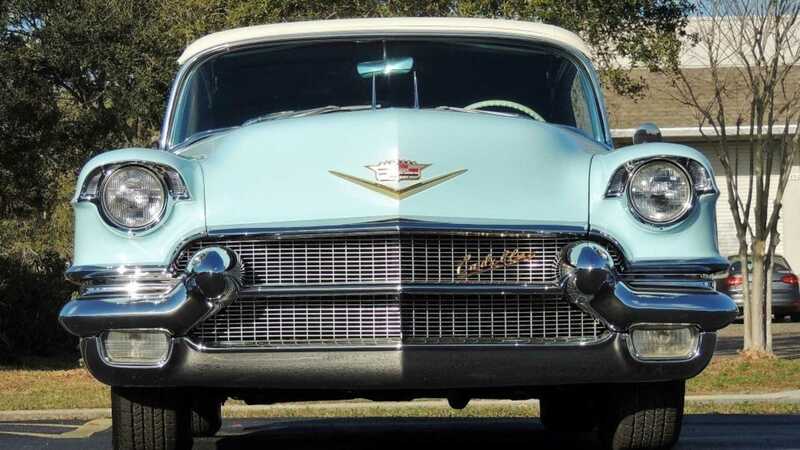 This '56 Eldorado Biarritz is powered by the optional 365 cubic-inch, 6.0-liter OHV V8 with two four-barrel carburetors and a Blackwing air cleaner which produced 335-horsepower. The engine sends power to the rear wheel via a four-speed Hydra-Matic automatic transmission. 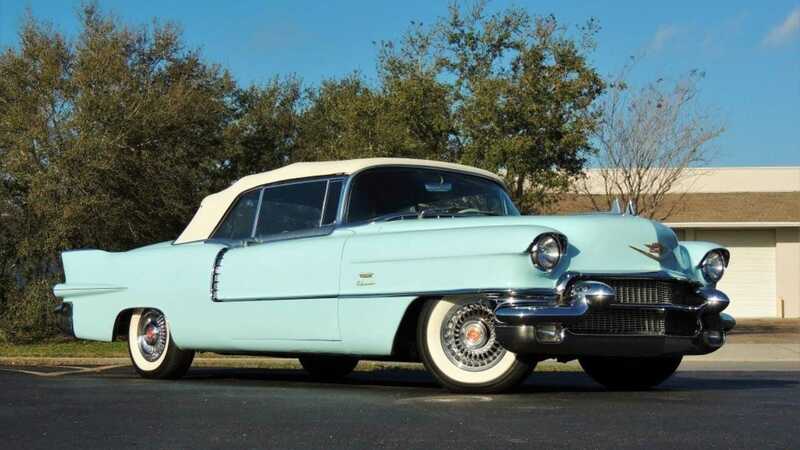 For the 1956 model year, the Eldorado hardtop coupe was called the Eldorado Seville and the convertible variant was called the Eldorado Biarritz. 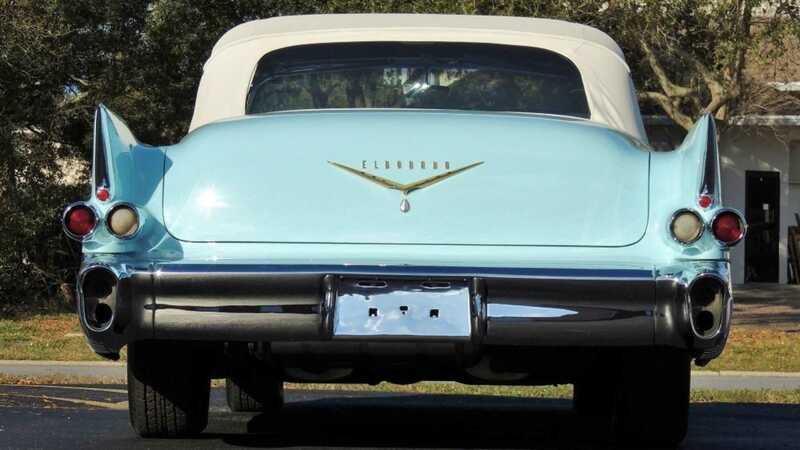 An Eldorado script finally appeared in 1956 with fender crest on the cars which were further distinguished by twin hood ornaments. An additional feature on the '56 Eldorado Biarritz was a ribbed chrome saddle molding which extended from the windshield to the rear window pillar along the beltline. 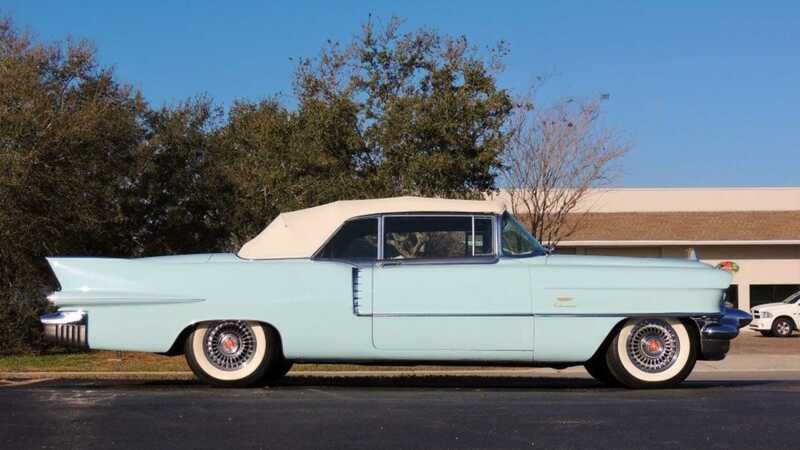 The listing states that this 1956 Cadillac Eldorado Biarritz has been repainted once in its original Sonic Blue color code and comes equipped with chrome Saber wheels wrapped in wide white wall tires. This '56 Eldorado 'Vert is also equipped with power steering, power brakes, power windows, power top, A/M radio, and a dash clock. So, if you are currently in the market looking for a well-maintained convertible from the 1950s with enough style to turn heads even today at car shows or just cruise down the boulevard with the top down this summer, then check out and bid on this 1956 Cadillac Eldorado Biarritz available at HCS19.